Quinbys design called for limestone from top to bottom, including detailed rustication on the first two stories, and a detailed corner entryway which later came to bear the name T.W. and C.B. Sheridan and Co. Theodore and Charles Sheridan were early book binding inventors and entrepreneurs, and their company occupied the much of the building from 1929-1956. The Sheridans were part of a long history of various typesetting and printing publications which operated here during the previous century. With such generous window proportions and such bright floors, its no wonder preeminent printing houses chose to call 129 Lafayette St home. Converted into 27 residences during 2003-2005, these apartments offer a coveted amount of space, without leaving behind any modern amenities. 129 Lafayette Street is a full-service condominium with a 24-hour doorman and a common roof garden, which stands above almost every neighboring building. Residents also benefit from close proximity to SoHo, NoLita, The Bowery, and Tribeca. Six major subway lines (6/N/Q/R/J/Z) are just moments away from the buildings front door. Owners have access to storage units, as well as the ability to install a washer and dryer. Please complete Notice of Intention to Sell (enclosed). Notice to Board of Managers of The 129 Lafayette Street Condominium c/o Douglas Elliman Property Management stating that you have received a bona fide offer to purchase your unit. Said notice must include the name and address of the party making the offer to purchase your unit, and the terms of the proposed transaction. The giving of such notice to the Board shall constitute an offer by you to sell your unit to the Board or its designee. Upon the same terms and conditions as contained in the proposed contract and shall also constitute a warranty and representation by you that you believe the offer to sell your unit to be bona fide in all respects. Please upload each applicants last two (2) years filed Federal Income Tax form (Form 1040) along with any W-2s, 1099s and applicable schedules. Please complete Residential Rules and Regulations Acknowledgement (enclosed). Rules and regulations enclosed for informational purposes. Please complete Unit Owner's Legal Mailing Address (enclosed). Please complete Lease Pain Disclosure Form (enclosed). Please complete Notice of Intention to Lease (enclosed). 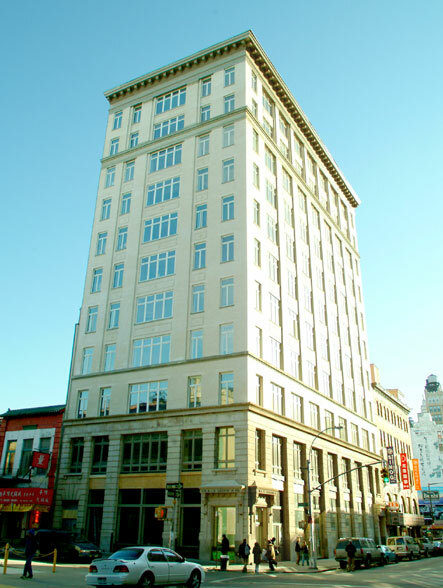 Notice to Board of Managers of The 129 Lafayette Street Condominium c/o Douglas Elliman Property Management stating that you have received a bona fide offer to lease your unit. Said notice must include the name and address of the party making the offer to lease your unit, and the terms of the proposed transaction. The giving of such notice to the Board shall constitute an offer by you to lease your unit to the Board or its designee. Upon the same terms and conditions as contained in the proposed lease agreement and shall also constitute a warranty and representation by you that you believe the offer to lease your unit to be bona fide in all respects. Please complete the Lease Agreement (enclosed). Please complete the Lease Application (enclosed). Please upload two (2) business or personal reference letters per applicant. Please complete Residential Rules and Regulations Acknowledgement (enclosed). Residential Rules and Regulations Acknowledgement enclosed for informational purposes. Please upload evidence of the proposed Tenant''s Insurance Coverage. Refer to cover page for additional details.